Marc and Fred went to war when they were refused a double bed at a remote Christian guest house. They won their court case and now they're back to claim their conjugal rights. Triumph turns to terror when a Russian neo-Nazi checks in. Their weekend of fun becomes a bloody battle for survival in this smart, brutally funny, and dark thriller. I love Paul Mc Gann, he was brilliant as always. I don't know if some of the character's where exactly could be believable. Interesting plot (nothing turns out as you think it will... PAY ATTENTION!) Solid acting (Sam Teale - Woof!) and excellent production values. 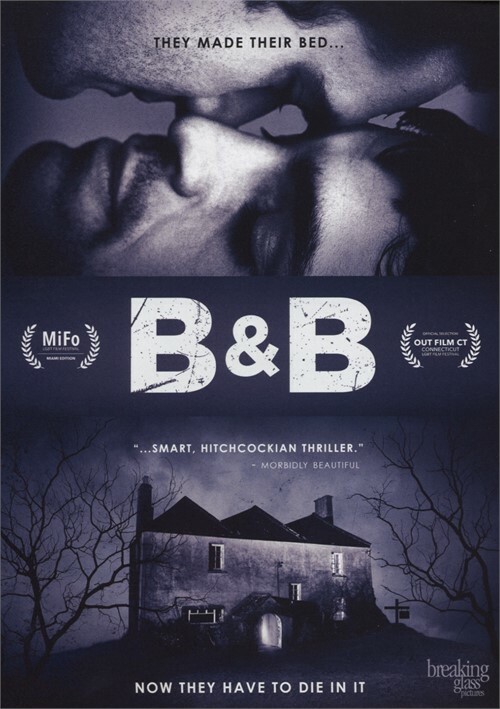 Gay married Londoners Mike (Tom Bateman) and Fred (Sean Teale) plan on having a weekend of mischief by returning to bait the prosecuted owner of a remote Christian B&B. The previous year, they had sued the owner for not allowing them to share a bed and won the case. They have no reason for going to the B&B aside from taunting the homophobic owner Josh (Paul McGann). Things do not go as planned and what the guys thought would be a lot of fun turned out to be something else altogether. Events take a deadly turn when another guest arrives, who they think might have something sinister in mind and their weekend of fun turns into a bloody battle for survival in this smart, brutally comedy and dark thriller. It all started with dinner at the B&B when the only other guest was a mysterious Russian (James Tratas), a very hunky man who could not speak a word of English. Yet that did not stop him from hitting on Josh's 16-year-old closeted gay son Paul (Callum Woodhouse). Fred and Marc learned of their plans were to go to a local park that is a notorious gay cruising area, they became jealous. Fred and Marc nosed around and found out that the Russian had a jammer that blocked all the cell-phone signals and therefore had cut them off from the outside world. They began to worry for the Paul's safety. Fred set out after the Russian and Paul and located them at tracked them at the park but it did not take long before he regretted his actions when he became part of a drama that was soon out of control. He managed to get a scared Paul back to the B&B and now he has to deal with his father knowing that he is gay and that he was to blame for a serious crime for which he was now trying hard to push the blame for onto Fred. It was soon a situation as to who could outwit who and whether Josh could finally get his own revenge on the gay couple for almost ruining his income by getting them to take the rap for this and clear Paul at the same time. 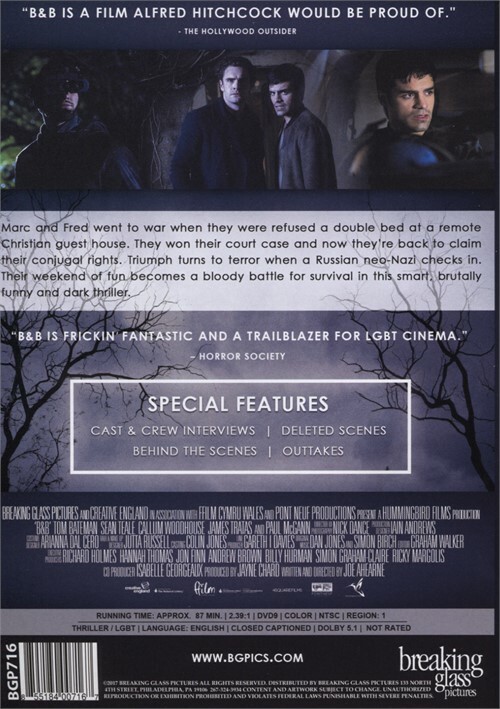 We do not get many LGBT thrillers and when we get a good one, we must appreciate it. Director and screenplay writer, Joe Ahearne, based this on a partially true story. There had been gay people who sued guesthouse owners. The horror part, however, is invented and keeps us on the edge of our seats as we watch. The cast is excellent all around, especially Paul McGann who plays Josh, a man we love to hate.